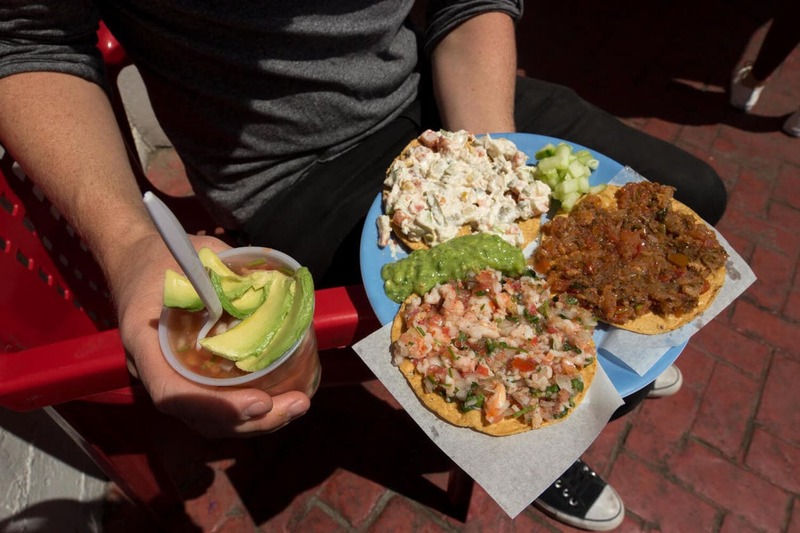 The seafood tostadas at La Guerrerense in Ensenada are legendary. 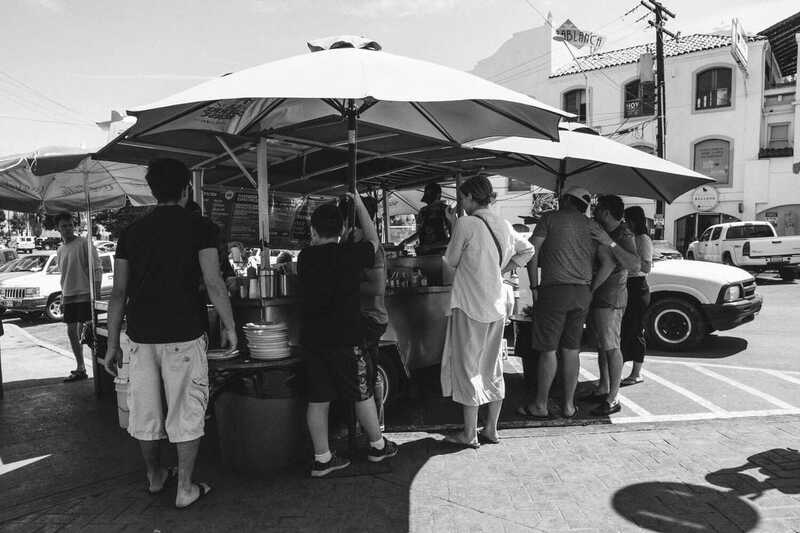 Anthony Bourdain even called the cart the best street food on the planet and compared their product to Michelin quality seafood. 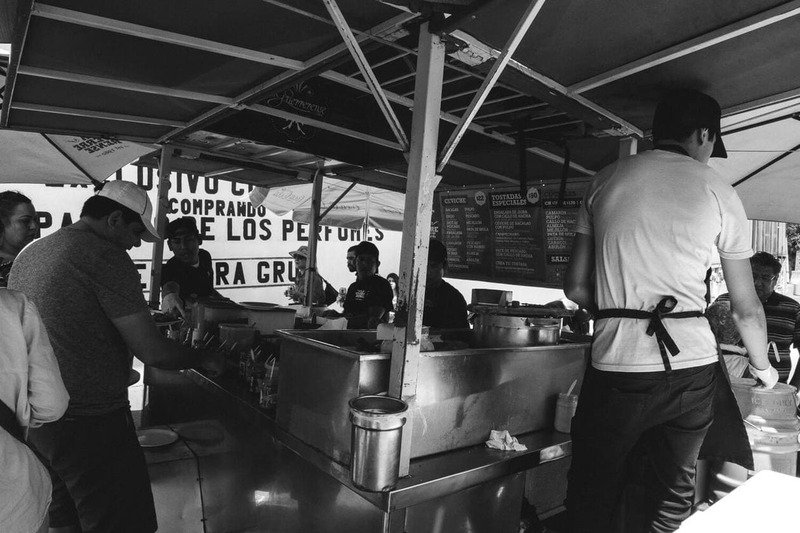 While we didn’t originally have plans to visit Ensenada during our Valle de Guadalupe trip, all of the hype surrounding La Guerrerense convinced us to make a special trip to the coast. 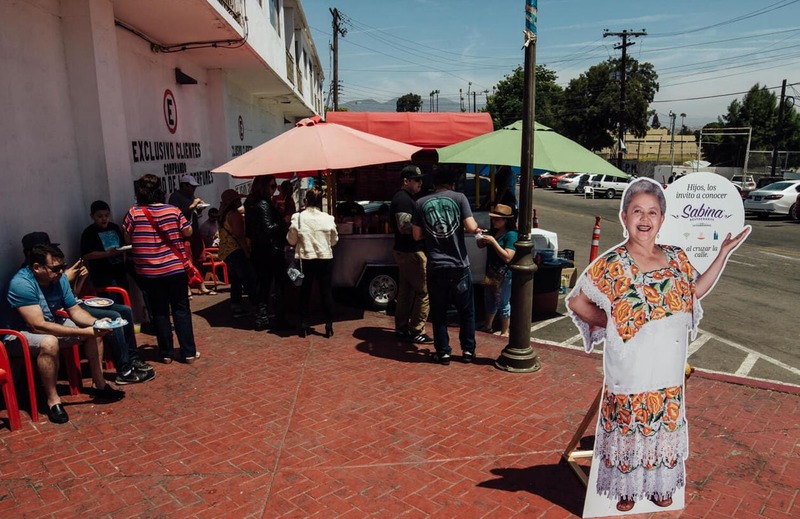 Sabina Bandera (aka La Guerrerense) started her business over 40 years ago and has since turned her humble street cart into an internationally recognized brand. She was invited to represent Mexico in the World Street Food Congress in Singapore where she won 1st place in sales and 3rd place overall. 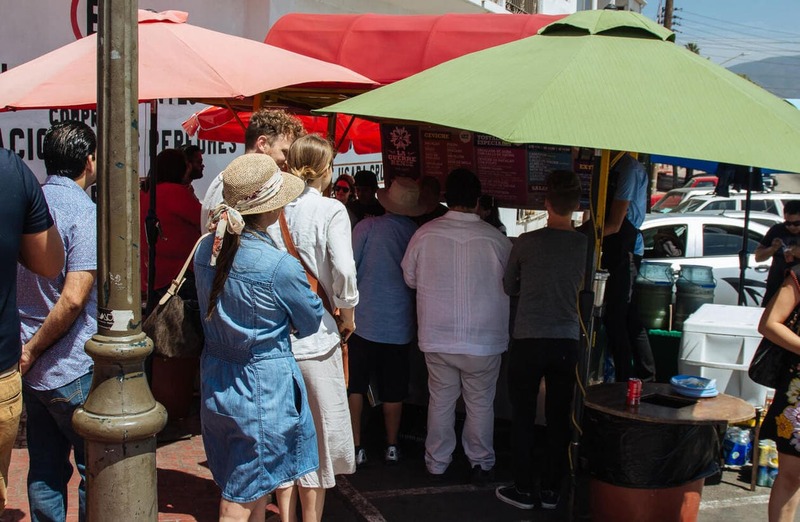 She has also won “Best in Show” and “The Showmanship Prize” at the LA Street Food Fest. Today, her street cart is still family run and Sabina herself shows up everyday to work (and take pictures with fans). 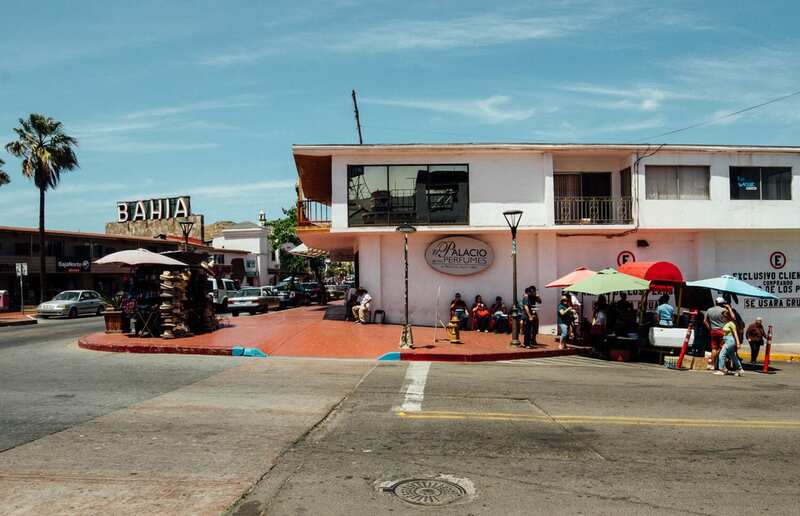 The town of Ensenada is a 40 minute drive from Valle de Guadalupe so we decided to make the morning out of it. We got there early because it was the weekend and I had read stories about them selling out. Sure enough, they did and their most popular dishes were off the menu by noon. This street cart is no joke! Luckily, we got our order in right before the sell-out. Unfortunately, after tasting everything we wanted more. The most popular tostadas at La Guerrerense are the sea urchin and clam, but since we are not the most adventurous seafood eaters our order was pretty boring: shrimp and fish ceviche tostadas, the crab salad and scallop special tostada, and a shrimp cocktail. 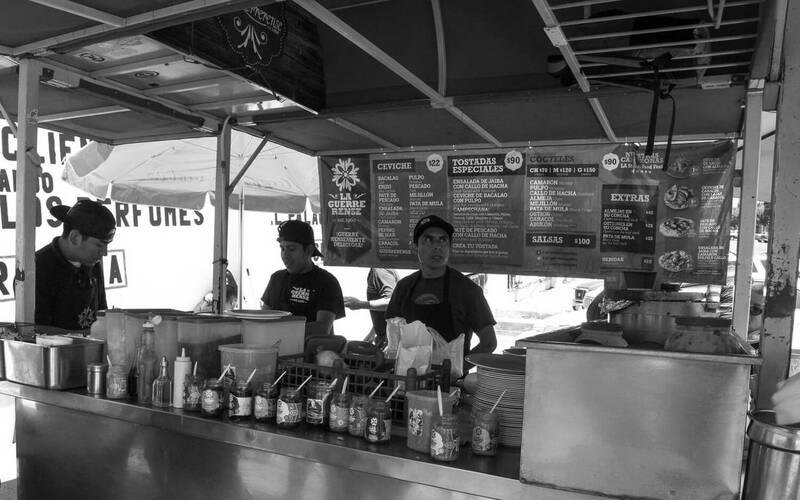 The three guys behind the tiny food stand were inundated with dozens of orders but we only had to wait a few minutes to get our food. Sabina has also created her own salsas so you can dress up your ceviche any way you please. You pay after you eat. I recommend sticking to what they’re famous for – the tostadas. The shrimp cocktail was good but it didn’t taste that special. The tostadas on the other hand, were incredible. My favorite by far was the classic shrimp tostada. 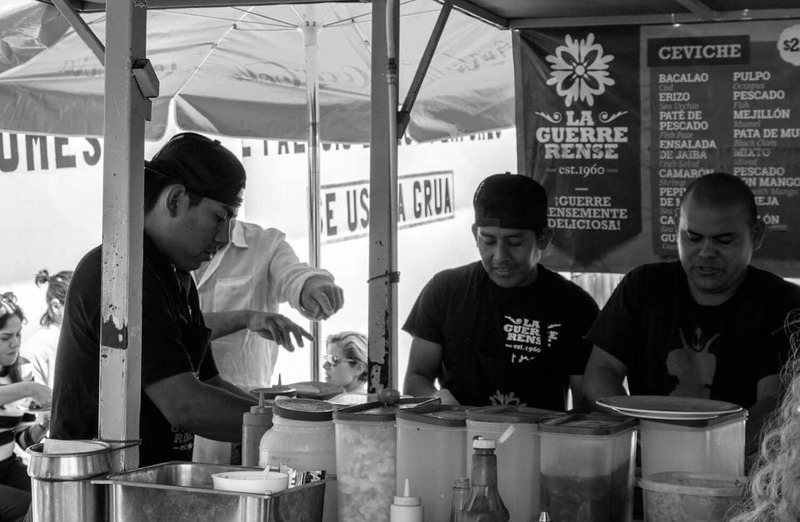 The seafood at La Guerrerense is fresh, it’s always caught that morning and you can tell. We loved every bite and I can safely say it lived up to the hype. 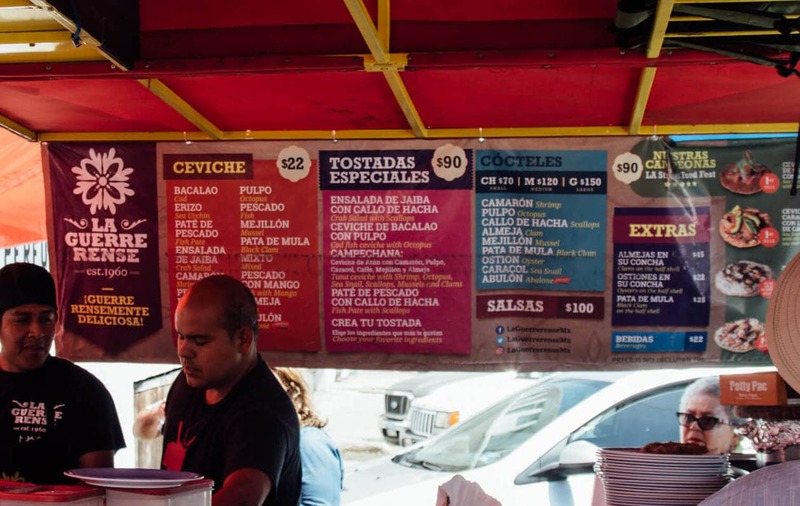 La Guerrerense street cart is located on the corner of 1st and Alvarado in Zona Centro Ensenada, Mexico.